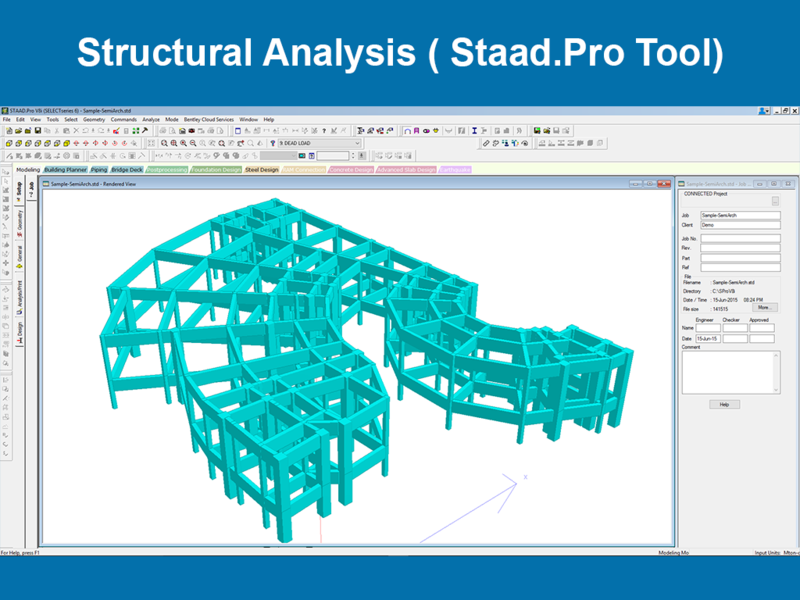 Structural Analysis and Design (STAAD.Pro) is used mostly used for analyzing and designing structures – buildings, bridges, towers, transportation, industrial and utility structures. The Designing part includes building structures including culvert, tunnels, bridges, piles; and building materials like steel, concrete, timber, aluminium, and cold-formed steel. It comes with flexible modeling environment, advanced features, and fluent data collaboration. 1. You will know how to complete object-oriented intuitive 2D/3D graphic model generation. 3. You will know how to take presentation quality printer plots of geometry and results as part of run output.